During our lives, we are exposed to many events that reveal the truth about people. We see cases of racism, gender discrimination, prejudice, religion persecution, and many other reasons. These are the things people use to attack or diminish others. Even in our working place, where other employees and even management create these situations against others. Why do we have to stand for this? Ignorance and stupidity of others hurt those that do well, just because they don’t look, talk or share beliefs. Many go through a hard time because of this, not just here but all around the world. In the UK, a case about religious discrimination takes place when the British Airways airline fired four employees for wearing their crucifixes during work time, while others wear their religious symbols like Sikh turbans, bracelets, Muslim hijab and others... (www.euronews.com). In New York, we witness a racial discrimination case in the federal court between Chisholm and the Memorial Sloan Kettering Cancer Center in November 2011 (http://nydailyrecord.com). In this case, we have a disability discrimination case, Roy M. Victor versus the State of New Jersey in October 2009. Roy M. Victor, an employee of the New Jersey State Trooper was not properly accommodated for his disability at work. How can we secure our jobs, companies, families, and even ourselves if we do not take a second to see, hear, and understand others? These issues can create such a dark cloud over your business, and yourself. Preventing such, can bring many people together in harmony. 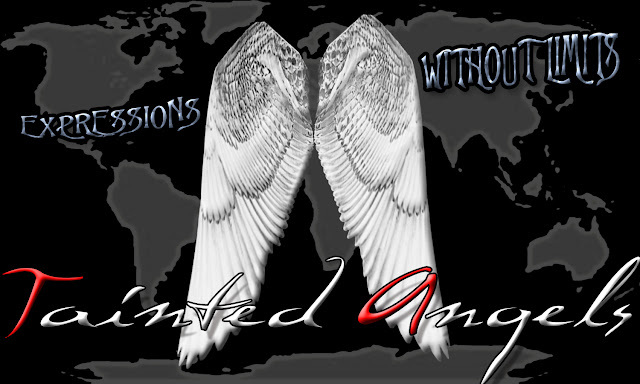 These are only a few reasons why the Tainted Angels are here, one person can change the world. So imagine, what all of us can do together with our love, understanding, and passion for the arts, music and more? Spread the wings of knowledge and educate others with reason and facts, but specially understanding and love. Do not let others stop your dreams just because of your race, religion, ethnicity, beliefs, or looks. We can never judge a book by its cover, but we can be judge by our doings.